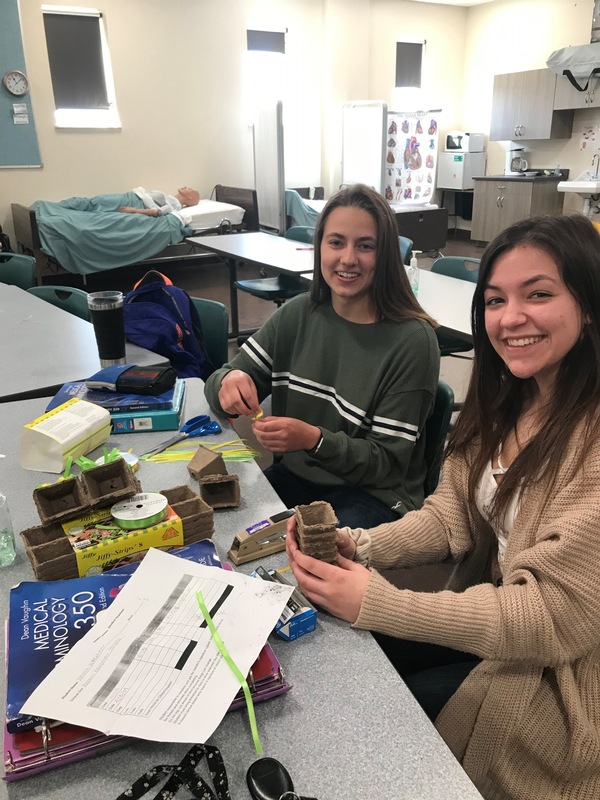 The Health Careers program provides students with the opportunity to explore the many available career options in the health-care profession. 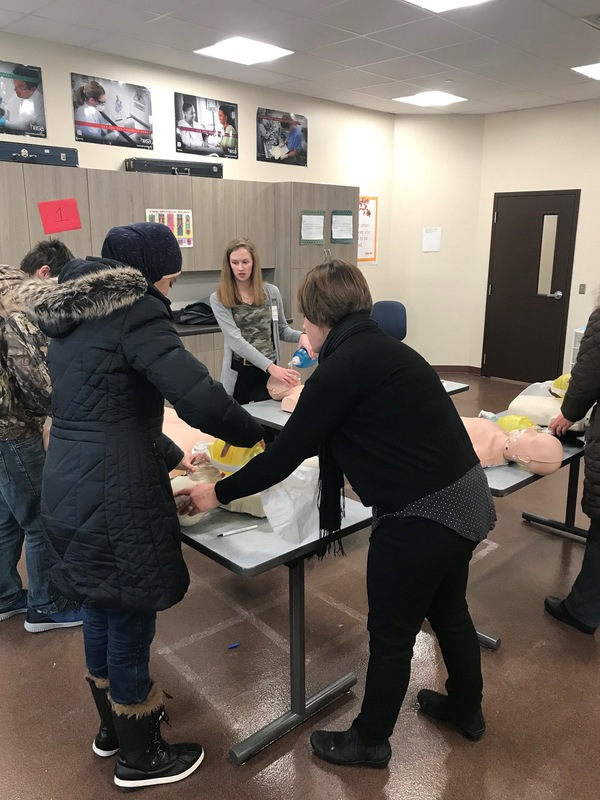 Students learn CPR (Cardio-Pulmonary Resuscitation), emergency first aid, medical terminology, basic anatomy and physiology, and the communication skills necessary for success in the health care field. After completion of the core curriculum, including-but not limited to-communication skills, professionalism, infection control, legal and ethical issues in health care, confidentiality, and safety, students have an opportunity to experience hands-on training and job shadowing in local facilities with professionals in the careers, they would like to explore. 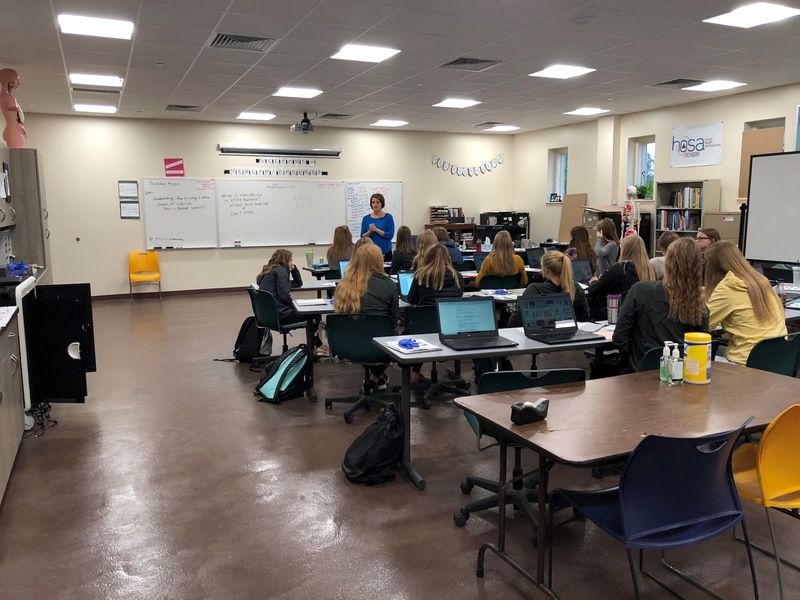 Students also research the roles of various health care professionals through reading, accessing Internet sites, and viewing educational videos to learn more about the careers they may be interested in pursuing. Guest lecturers in the classroom share their knowledge and demonstrate skills, while field trips allow students to get a first-hand look at many of the career options related to health care. I am a registered nurse with several years of experience in the acute care setting. I have delivered great healthcare to patients in the Intensive Care Unit, on the Medical/Surgical Floor and in the Family Birthing Center. I am a Certified Childbirth Educator and an International Board Certified Lactation Consultant. I earned my Bachelor’s of Science in Nursing from Northern Michigan University. I plan to continue my education to obtain a Teaching Certification. After high school graduation I traveled, worked and explored the world. I married my best friend, a native of the Copper Country. Together we are raising our four children on the shores of Lake Superior. I love the beauty of the Upper Peninsula and enjoy the outdoors from the ski trails, campgrounds and gorgeous beaches. I am always looking for ways to further my knowledge and stay advanced in an ever changing healthcare world. I look forward to bringing my enthusiasm and expertise to the students in the Health Careers class. In the classroom we will explore hundreds of health career options, learn successful communication skills, build resumes, participate in HOSA (Health Occupations Students of America), learn CPR and First Aid, gain hands on experience during clinic site rotations and receive a background of knowledge in Anatomy/Physiology and medical terminology amongst several other health care topics. 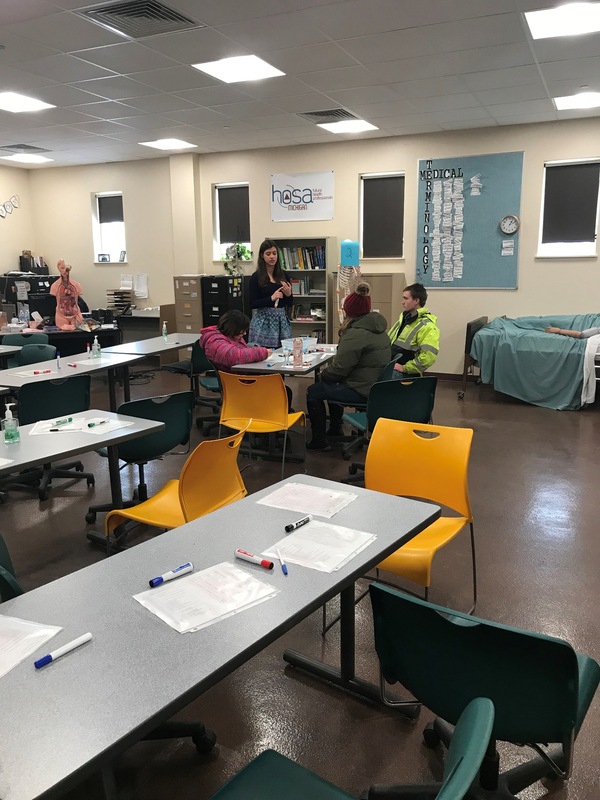 I am excited to continue the success of the Health Careers Program by maintaining the relationships that have been built with community members and healthcare organizations in the area. We are always looking for new learning opportunities and ways to give back to our community. 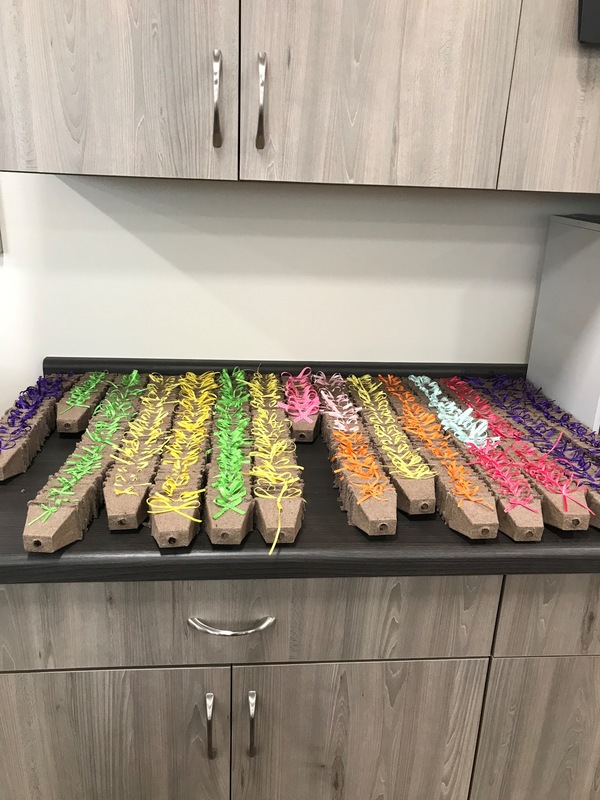 If you have any suggestions or opportunities to connect with students, please contact me via email ahermanson@copperisd.org or phone (906) 482-4250 x 301. I believe with the support of the community, the Copper Country ISD will help build a solid foundation for the future of healthcare workers..